Langkawi has gone a long way to claim its fame to become one of the top wellness centers in the world. While it has retained and still practices the ancient and proven healing methods & treatments of the region in its various spa centers, it has also adapted to the modern development in spa treatments. The original methods used in several spa centers include the traditional Malay massage & skin treatments, Indian Ayurvedic (i.e. herbal) treatments and even the treatments practiced by the aboriginal tribes of the rainforests. All the well known spas in the island use fresh and organically grown herbs, spices, fruits, flowers and other ingredients in massages, facials and skin treatments. There are numerous small spas all across the island that are affordable to most. And there are number of resort based five star spas either nestled in a rainforest or perched on the hills with magnificent views of the Andaman sea and offering some of the latest & luxurious spa treatments from around the world. The resort spas in Langkawi are usually open for outside guests as well. But almost all luxury spas in the island require advance reservations. Traditional Malay Massage practiced since ancient times which uses a lot of thumb and palm pressures. Herbal oil and ingredients from rainforest are also used. Great for healing internal muscle injuries. Thai Massage which includes body massage along with a lot of yoga stretches. No oil is used. The therapist will twist & turn your body to various postures. Great for whole body relaxation and fitness. Chinese Foot Reflexology: This traditional Chinese style massage helps in healing specific ailments and can be quite painful but very effective. Indian Ayurvedic Massage which uses a lot of herbal oil. It is known for relaxing and re-energizing the body. Shirodhara is a type of famous ayurvedic massage where a thin stream of warm herbal oil is poured down the center of your forehead creating a deep sensation. Hot Stone Massage: As the name suggests, this massage is done using smooth stones that area heated up. They often place several such small heated stones at the energy points of your back. They have three outlets one of which is located in Patai Cenang and opposite to the Casa Del Mar hotel. They offer a wide range of treatments and traditional Malay massages using natural herbs and oils which they produce on their own. For offerings and indicative costs, refer to Alun Alun Spa under the section 'Top Spas in Kuah'. This is located within the Laman Padi rice museum complex with sweeping views of the green paddy fields. They use herbal ingredients from the adjacent herbal garden and offer unique local treatments that are rarely found elsewhere. While the spa is simple, but it's clean and quiet. As you take the massage on your bed, you get wonderful views of the green rice fields through the windows and hear soft music. They offer fresh lemon juice on arrival. After your massage, they usually offer a herbal tea made of ginger and cardamom. 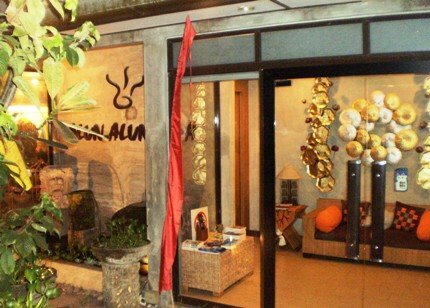 The spa offers several massages including Traditional Malay Massage, Back Massage etc, and also scrubs, foot spa, facial etc. A traditional Malay massage with scrub and foot soak for a total of 90 minutes would cost around RM140. This is a great and relatively inexpensive spa in Langkawi. This boutique spa is all about delicate care towards individual requirements. So every treatment is customized towards your own needs while using traditional methods of Malaysian healing. They use fresh organic ingredients and oils. The spa room is small and there are several steps to climb (about 20). However the staff are very professional and friendly. A 2-hour treatment which includes foot soak, wrap and a full massage would be around RM420. Although this is a premier spa in Cenang, the cost is not too high. Over all a great spa. Location & Contact: Hotel Casa Del Mar. Jalan Pantai Cenang. Phone:+60 4-955 2388. It's located at the southern end of Pantai Cenang (at the corner) and opposite to Aseanea Hotel. This spa, although looks small from outside, is all about meditative ambience created through sheer talent of stone carvings. Walls of the four treatment rooms and the baths have marvelous work of stone... one with a large face of Buddha, another having waterfall coming down cave rocks etc creating a wonderful serene ambience for spa treatments. Even the outside work of the entrance is done using stone. When you get in, you will be seated on a wicker sofa and offered herbal tea as you wait for your turn. After the treatment, they usually offer a cold drink. Several different kinds of treatments including massages, facial, wraps, scrubs etc are done here. The most popular massages here are the Traditional Malay Massage (deep tissue massage using oil to release muscle fatigue), Aromatherapy (softer massage using essential oil), foot reflexology etc. The Herbal Compress offers back massage followed by compress using herbal ingredients. You can also take a combination of black oil massage and scrub (known as Traditional Boreh massage) which is followed by a wonderful refreshing flower & lime bath on a tub. A typical massage (like traditional Malay Massage) would cost RM130 for 60 minutes. A typical facial (with a choice of mask like mud, aloe vera, seaweed), or body wrap & scrub would be RM100 for 60 minutes. Open hours: 12 noon - 10pm. They organize pick up / drop transportation within the island (free within Pantai Cenang/Tengah areas). Location & Contact: Opposite Aseana Hotel, Pantai Cenang. Phone: +60 4-955 6482. Mobile: +60 12-422 7500. Email: [email protected] (they may take a while to respond to emails). It's located inside the Meritus Pelangin Resort and set up in lush gardens amongst lots of trees and greenery. The wooden spa building gives a serene village hut like look although very sophisticated inside. They offer a wide range of Asian treatments and massages including Asian spa rituals, organic skin care & facials, pedicure & manicure etc. The Spa also offers a concoction drink prepared by their expert therapists. They have two outlets, both in Pantai Cenang. These look like spa shops and run by a Thai owner. As expected you get nice Thai herbal massages and other treatments like reflexology, Shiatsu etc. These are great for getting quick relief and relaxing experience. Location: on the road along Jalan Pantai Cenang (mostly towards southern end). You will need to walk a little uphill from the main road Teluk Baru for about 50 meters to reach this Spa which is located in a hillside forest. Setup in lush greenery, the charming Malaysian huts with treatment rooms offer authentic Malaysian spa massages and other treatments. After you complete your registration at the reception, you will walk over a stone covered pathway to get to your spa room. The spa has 2-bedded and even 3-bedded spa suites for friends and family members to enjoy massage together. There are six spa rooms (or suites) in total. You get wonderful soothing view of the rainforest through the glass panes as you experience your massage or other treatments on the bed. The menu includes a range of massages, wraps & scrubs, baths, heat treatments etc. Some of the popular massages include the Langkawi Traditional Massage (using aromatherapy oils to detoxify body and release fatigue), Hot Stone Massage (using heated stones that soften skins and rejuvenate), Traditional Herbal Heat Massage, Four Hand Massage, foot massage etc. Try out the unique bamboo massage which uses bamboo and helps releasing muscle tension, fatigue while improving blood circulation and oxygen flow in the body. 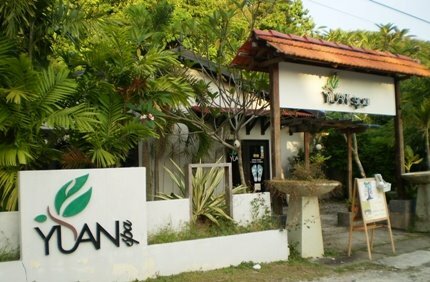 Ishan spa also has an outdoor pool, a cafe, herbal garden and a outdoor bamboo shower. They offer free transfer services within Pantai Cenang and Tengah areas. A typical massage or a facial costs RM188 for 60 minutes duration. 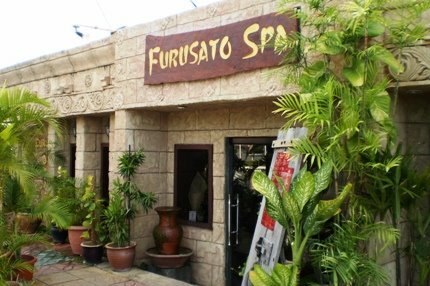 Operating since 2008 and set up in lush garden setting, this cozy little Spa offers a range of treatments and massages in a budget price. The packages include various combinations of head & oil body massage, scrubs & wraps, manicure & pedicure and more. As you heal your feet sitting on a comfy sofa, you can watch the lush garden through floor to ceiling glass windows. There are four other cozy treatment rooms accommodating two persons each. A typical Aromatherapy that includes full body aromatic oil massage, facial and head & neck massage for a total of 1 hour 45 minutes costs RM148. The signature Yuan Relaxing Therapy includes foot peeling, full body scrub & wrap, back massage, shoulder, head & neck massage, facial, and costs RM178 for a duration of 2 hours 30 minutes. Open hours: 1pm to 9:30pm daily. Free transport can be arranged within nearby areas. Location & Contacts: Located in Pantai Tengah on Jalan Teluk Baru (Lot 1697) and opposite Holiday Villa Resort. This is one of the three outlets. For offerings and indicative costs, refer to Alun Alun Spa under 'Top Spas in Kuah'. It's located near the right end of the Sun Mall at Pantai Tengah. The original one is at southern end of Pantai Cenang. This outlet was opened in June 2012. They offer body massage, head massage, hair treatment, facial relaxation, body scrub & wraps, and more. 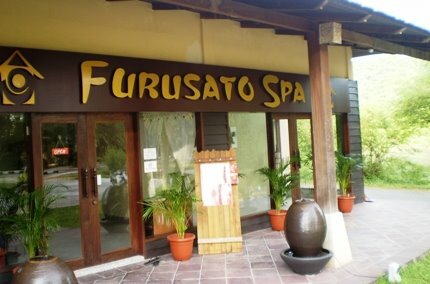 For details of offerings and cost, see Furusato Spa under the section 'Top Spas Pantai Cenang'. Unlike the one in Cenang, this one has more modern looks and vibrant colors, so looks more lively. The spa rooms have ceramic tubs and attached baths with glass cage. There are rooms for both singles and couples. You can also make reservation by email: [email protected] (they may take a while to respond). Located on the waterfront and part of the Westin Resort property, this spa indeed offers a heavenly experience in a serene tranquil ambience. With rows of palm trees and wonderful view of the water, the friendly smiling therapists at this dark-wood finished cottage type spa takes you to a different world. The resort offers a battery operated cart to take you to this little oasis which is tucked at a corner of the vast property. Other than some of its great spa cuisine, the spa offers various services including facials, massages, body treatments, baths, salon services and more. The spa has its own spa pool, Turkish hammam and Jacuzzi that perfectly compliment the spa services. This is the original outlet of the spa which later expanded to Pantai Cenang and Tengah as well. It offers over 30 different treatments including massages, wraps, scrubs, hot tubs, facial, hair & nail services, foot spa and several other exclusive programs. The signature massages here includes the Herbal Oil Massage that helps improve blood circulation and relieve pain, Wave Massage uses gentle controlled massage to relax muscles, and the Sound Bliss Massage uses combination of singing bowls and touch therapy to rejuvenate body mind and soul. Apart from these there are number of other massages offered including Thai Massage involving stretching & deep massage, Traditional Malay Massage - a deep tissue massage with oil, Balinese Massage which is a gentle massage using strokes, skin folding etc. Massage duration can vary depending on choice (for example 60/90/120 minutes etc). Massage costs starts from RM150 however also depends on the type of massage. Malaysian Traditional Facial spa is RM120. Manicure & pedicure services start from RM70, hair treatment from RM100. (They use natural oils in massage). Operating since July 2007, Bellis Health & Beauty Spa is an independent spa center and offers no frill treatments and massages, which means that the treatments here are reasonably priced. Offerings include a range of services like traditional Malay body treatments with herbal oils, Thai massage, foot reflexology using pressure points, steam bath, aromatherapy, facials, slimming & firming etc. However they are most well known and have great local following for their range of facials. Bellis offers regular monthly promotions with combination packages. A typical combination package (White Roses) including sea salt foot bath, full body aroma scrub, full body traditional Malay massage, Detox foot massage and complimentary flowers tea would cost RM148 for a total duration of 2 hours 15 minutes. Another combination package (Blue Lilly) includes sea salt foot bath, foot peeling, foot scrub, foot reflexology, full body aromatherapy massage, and homemade lemongrass tea. Duration 2 hours, cost RM138. 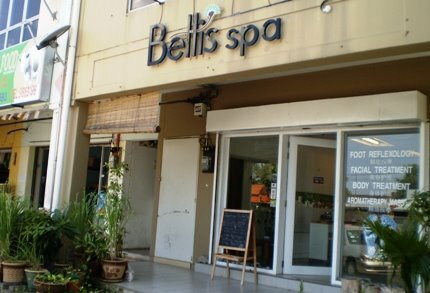 Bellis is located on the main road in Kuah near Langkawi Parade Shopping Center. This exquisite spa is probably the best in the island and can easily rank amongst the top in the world. Also known as The Spa, it is located at one corner of the Four Seasons resort and offers a wide range of treatments. The over all setting is absolute serene. The spa is surrounded by lush plantations, rocky formations and has wonderful lotus pool at its center. The guests can also get the spa treatments done in the privacy of their pavilions and villas where they stay. It offers water treatments, air treatments, nourishment treatments, full spa services, yoga and more. This is one of the finest spas in the island nestled deep inside the rainforest. With wonderful views of the lush foliage all around, a stream passing by, and experiencing a massage from the therapists who use old and traditional Ramuan method of holistic healing of the body, mind and spirit, this can easily be an unforgettable time in your life. The spa also offers body scrap, wraps, facial, pedicure/manicure, and even long duration rituals. The spa is located in The Datai resort. This spa operates out of The Andaman resort and offers a wide range of treatments including massages & rituals inspired from the old Malay practices of rainforest based ingredients, many other types of massages, facials, bathing, wraps & scrubs, lip & eye as well as pedicure, manicure and other salon services. The treatment venues are private villas with stunning views of the Andaman ocean. You can also take an assessment program to know your treatment needs. This spa is part of the Tanjung Rhu Resort and spread over an area of 3 acres. It's surrounded by a lovely landscaped garden. There are 12 villas in the spa and they are designed in a manner such that the natural sunlight illuminate the rooms in a tranquil setting. The spa overlook the wonderful private beach of the resort. It offers several treatments that are derived from Malay, Thai, Indonesian and Ayurvedic massages and therapies. There are fusion treatments offered as well. Both in-house and outside guests can avail the spa services by making prior appointments. This rustic spa is one of the favorites to the tourists. It's located in a rainforest surrounded by jungles and mountains in a serene & tranquil setting with the nature. Don't expect air conditions or modern amenities. Eric personally administers the traditional spa and offers several packages including flowered foot bath, traditional Malaysian body massage with essential oil, facials, Swedish massage with coconut oil, body scrub etc. In several packages the treatment starts with a herbal drink or tea. Both indoor and outdoor venues with nature are offered. It is not on a main road and you will need a taxi pre-arranged by the Spa to reach you to the venue. It's located inside the Langkawi Lagoon Resort in Padang Matsirat. Offers traditional Malay massage, many different treatments, and Manicure & Pedicure. The location is on the watetfront and therefore the surrounding view is wonderful and tranquil. A cart will take you to the chalet on stilt where the spa is located standing right on the water. A small lovely spa accessible through the 7 Roof Restaurant and located in its backyard with a lovely garden setting, a small pond and a pebbled pathway leading to the Spa. They use local herbs, fruits and oil in the massage. This is a budget spa and has a nice garden setting around with many plantations. Try out their signature hot oil massage. Indicative cost for a typical one hour massage is RM95.